October 11th marks an exciting day for young people. It’s the third annual United Nations International Day of the Girl, and it’s not just the UN that is celebrating girls. Increasingly, development organizations around the world are learning that if you want to fight injustice or poverty in communities that are struggling, don’t waste your time trying to enact change with local government, or even with adults in general. Instead, empower the girls in those communities. Provide them with access to quality education and healthcare, and before you know it, those same girls will be paying their privilege forward, making life for everyone better. This notion that girls are one of the most powerful forces for change in the world makes for a pretty compelling story, a story which is increasingly popping up in middle-grade literature. I’m the author of one such novel. 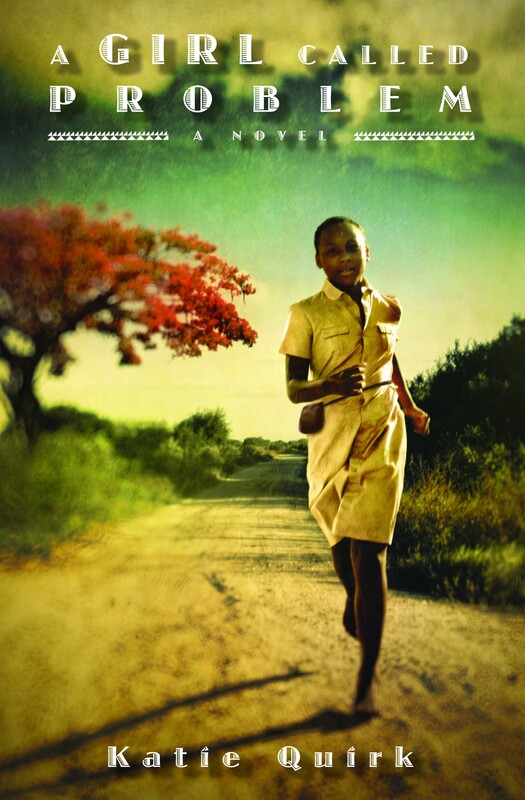 A Girl Called Problem is set in late 1960s Tanzania, right after that country achieved its independence from Britain. The main character, Shida, is a spunky, 13-year-old girl. Shida has dreams of attending school and becoming a healer, but she also faces some pretty formidable odds: her father is dead; her mother is so depressed people label her a “witch”; everyone reminds Shida that no girl has ever grown up to be a medicine man; oh, and her name translated from Swahili literally means “Problem.” To make matters worse, when Shida starts going to school, fellow villagers and even one teacher say girls shouldn’t be there. These naysayers go so far as to blame girl students for cursing their village and causing the death of a child. Fortunately Shida isn’t a kid who easily gives up, and when the village is on the brink of collapse, Shida and another girl student prove critical to their community’s survival. Although A Girl Called Problem is quite simply a coming-of-age mystery about an unyielding kid, it is also a celebration of exactly what the U.N. is honoring on October 11th: the world waking up to the notion that when girls are empowered to learn and lead, everyone benefits. Because many of the challenges faced by girls around the world involve them having their childhoods eclipsed through early marriage and sexual violence, books about girls facing and overcoming injustice tend to be for the young adult audience (Sold by Patricia Cormick, for example). Nevertheless, there remain a number of other great resources for middle-grade readers. 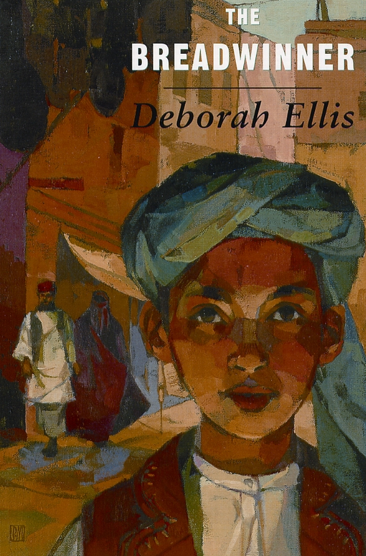 The Breadwinner by Deborah Ellis is the story of an eleven-year-old girl in Afghanistan who, under Taliban rule, is forbidden to go to the market, attend school, or even play outside. When her father is hauled off for having a foreign education, Parvana is forced to disguise herself as a boy and to take on the task of breadwinner for the family. Also Known As Harper by Ann Haywood Leal is the story of a fifth-grade girl and poetess who is forced to skip school when her alcohol-abusing father walks out, her family moves into a motel, and her now-desperate-for-work mother needs her to stay home to watch her little brother. It’s a good reminder that kids in developed countries face challenges that keep them away from school, too. Beatrice’s Goat by Page McBrier and Lori Lohstoeter is a picture book based on a true story of a girl in Uganda who longs to go to school, but whose family doesn’t have the money for schools fees. Then her family receives a goat, and with the milk and the bits of income that follow, good health and even Beatrice’s dream of going to school come true. 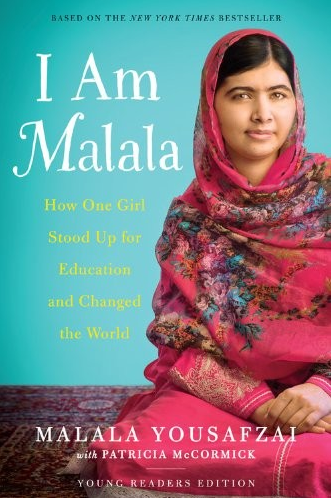 I Am Malala: How One Girl Stood Up for Education and Changed the World (Youth Edition) by Malala Yousafzai with Patricia McCormick is the inspiring story of the world’s youngest ever Nobel Peace Prize Nominee. Encouraged to stand up for her belief that all children should have the right to attend school, Malala was shot in the head while riding home on a bus after school but, as we all know, even that shot didn’t stop her. Girls Who Looked Under Rocks: The Lives of Six Pioneering Naturalists by Jeannine Atkins profiles six women, including Rachel Carson and Jane Goodall, who became important scientists, writers and teachers. The book describes how they were sometimes discouraged from pursuing their interests, but how they persevered and went on to play an important role in how we think of the natural world today. Fatty Legs: A True Story by Christy Jordan-Fenton and Margaret Pokiak-Fenton is the tale of a brave young woman who in the 1940s leaves her Inuit village for a residential school to pursue her dream of learning to read. There she is relentlessly harassed by a nun, but she manages to stand up for herself. Consolata’s Day is a couple-minute video a Tanzanian friend and I produced to give Western kids a sense of what it’s like to be a girl in Tanzania today. Girl Rising is a powerful, feature-length profile of nine courageous girls living in the developing world who face tremendous challenges to pursue their dreams. The Clock is Ticking is a moving three-minute video that succinctly sums up the challenges girls face in many parts of the world. Its producers also manage the website Girl Effect, which is a great resource for learning about the critical role girls can play in ending poverty. So on October 11th, help us celebrate girls everywhere: delve into an inspiring story or video about girls facing insurmountable odds, write a letter, make a donation, grab the hand of a girl you know who could use a little encouragement, and celebrate the power of girls to transform our world. This entry was posted in A Girl Called Problem and tagged Also Known as Harper, Beatrice's Goat, Fatty Legs, Girl Effect, Girl Rising, Girls Who Looked Under Rocks, International Day of the Girl, Malala, Mixed Up Files of..., The Breadwinner, United Nations Day of the Girl. Bookmark the permalink.